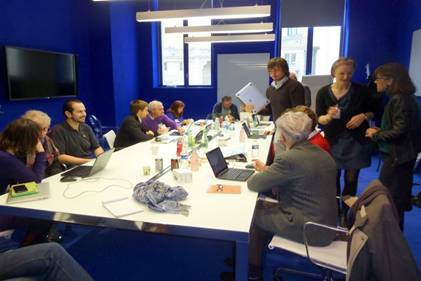 As a part of the European Grundtvig project called MoTech, Institute E-seniors created a local partnership project with the Parisian branch of Google Company. 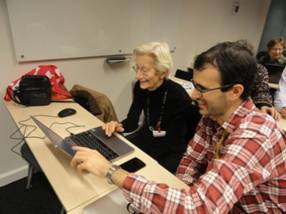 The aim of this project was to encourage the use of new technology tools among the elderly, to present them the possibilities and tools offered by Google and to encourage the E-Seniors voluntary ICT-trainers to update their courses with the help of different Google solutions. The 2 partners have agreed to continue the experimentation. Furthermore, Institute E-Seniors will organize a preparatory meeting with its senior participants in order to identify the topics of their interest in advance. 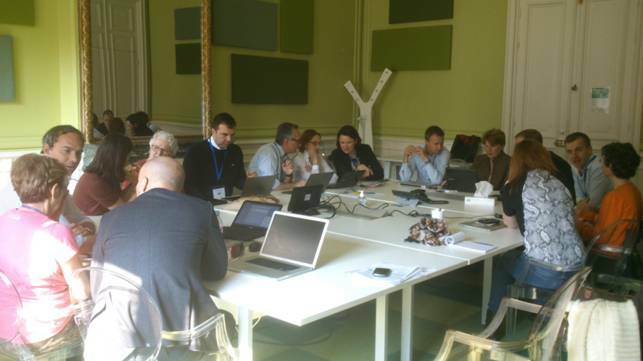 The second Age Engage Workshop, was held on February 3th, 2014. 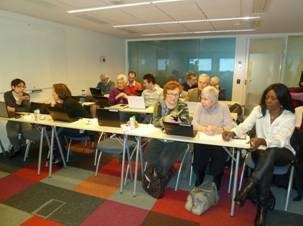 8 seniors of Institute E seniors participated in this workshop and 4 “googlers “. 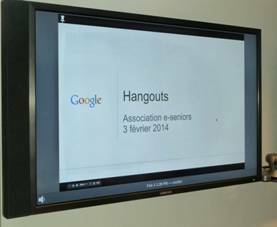 To take account of comments / observations of the First Session the workshop began with a short theoretical presentation of the Google's tool "Hangout" . “HANGHOUT” is an instant multi-messaging available on PC, smartphones or tablets. Free service that works via Gmail and Google+ social network. (This requires that the two people who wish to discuss together on Hangout have a Gmail account first). A person connected to the computer can also communicate with a person connected on his smartphone. Possibility to download icons + photos while we discuss online, to receive responses from friends / colleagues instantaneous, of video conferencing (up to 9 people in total) , to share documents on line and screen sharing (show pictures, videos interlocutor). This presentation be found in Annex 1 of this document. 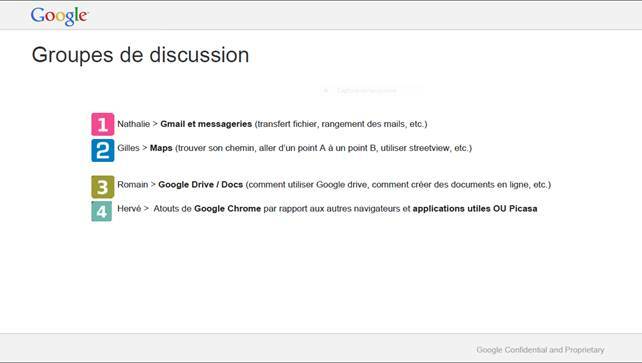 · Gmail : Creating a Gmail address , search for emails , names, various applications presented ( Drive, Maps etc.). 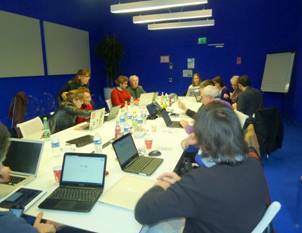 As in the first meeting, this workshop was held in a warm and studious atmosphere. The framework and materials were adapted to this type of meeting. The " Googlers " were very friendly and attentive to the students. They did not hesitate to answer any questions and give demonstrations in real time on the Chromebook. "The warm welcome from the whole team and the encouragement of " Googlers " this was my coach on the chosen theme , Google Maps, have enriched my knowledge quickly ! 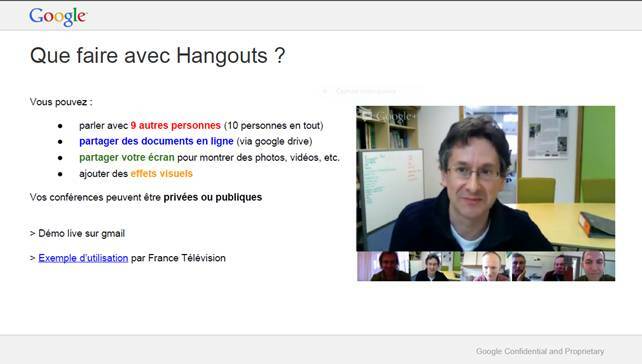 The Hangout presentation was interesting but the vocabulary was sometimes out of reach for me. " 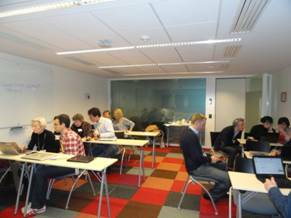 The third Age Engage Workshop, was held on March 26th, 2013. This meeting is part of a particular framework where hundreds of national and international managers of Google met at the enterprise’s headquarters in Paris for this exceptional work meeting. 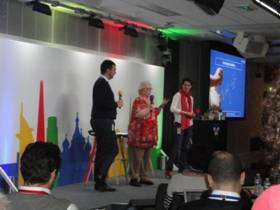 Therefore, this time, during the Age Engage workshop, the young Parisian Google employees, who used to advise our voluntary senior participants, were replaced by managers from several countries. 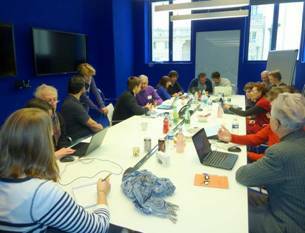 Two employees from Google France and several managers from Google international agreed to join this workshop meeting some senior members and voluntary ICT-trainers of Institute E-Seniors. All E-Senior participants were divided into two separate rooms. 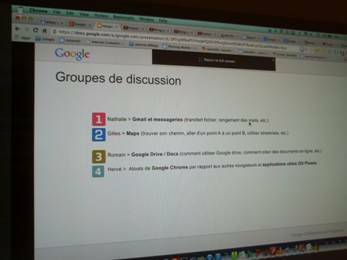 In each room, five seniors discovered the Google tools with their Google mentors. 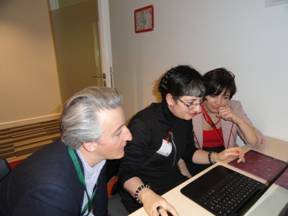 In total there were around twenty Google managers (from France, Italy, Spain and Poland ) instructing and introducing the seniors with Google-solutions. These themes were chosen as the participants desired to learn more about these solutions that they consider very useful for all different user categories. This workshop was concluded with a debriefing gathering all the Age Engage Participants. The reactions of the seniors were, as at other times, very positive. In addition, as the communication language of this workshop was English, the participants were very satisfied to have this opportunity use and improve their English skills as well. "It was a very interesting and very useful meeting. I now know how to use these tools. Thank you for this invitation. " 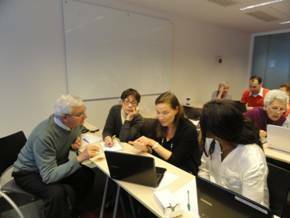 "Nice workshop and impeccable organization. This meeting allowed me to make progress in my knowledge of the Internet and English. " 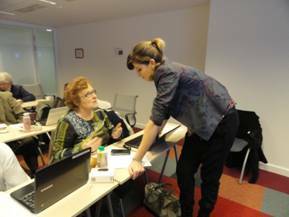 After these workshops the volunteer teachers of the institute E seniors have decided to adapt their new courses in September 2014, and putting into practice the Google tools that they learnt to use. This chosen tool is the « Google maps » and the geolocalisation.